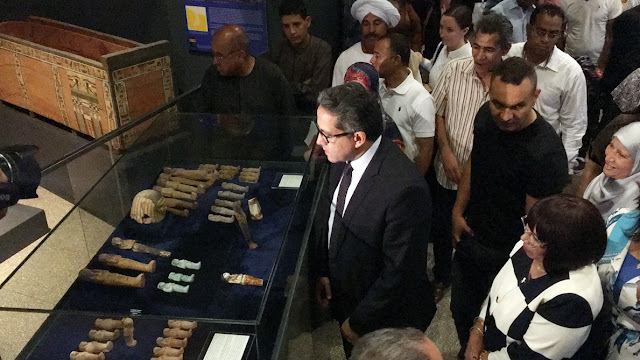 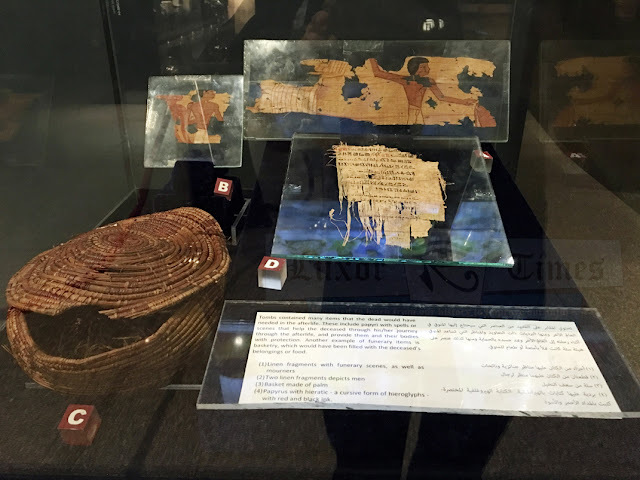 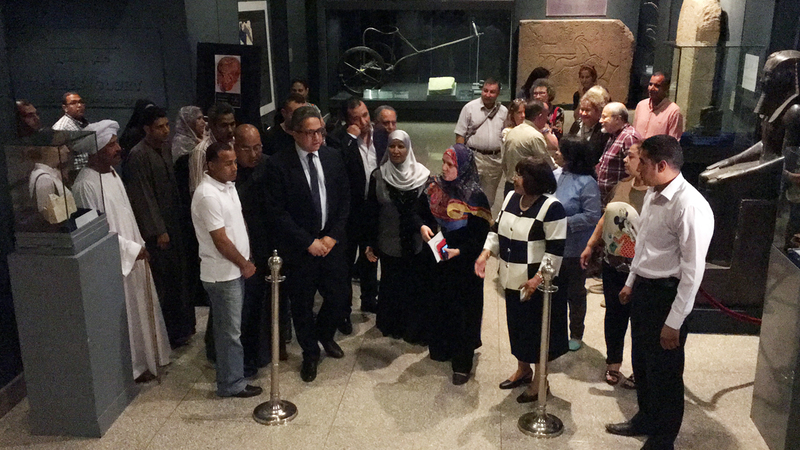 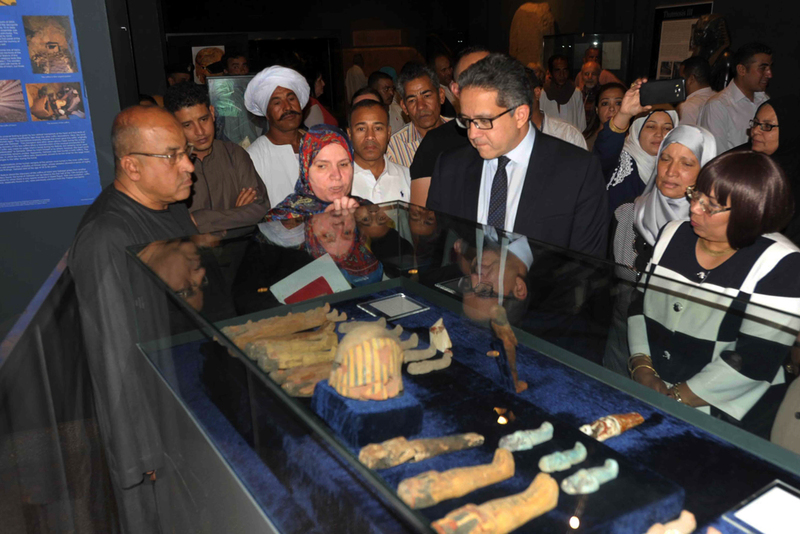 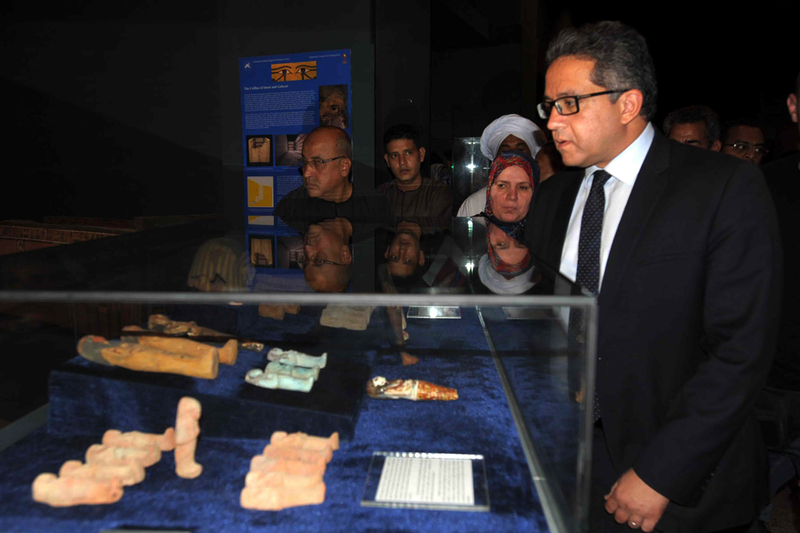 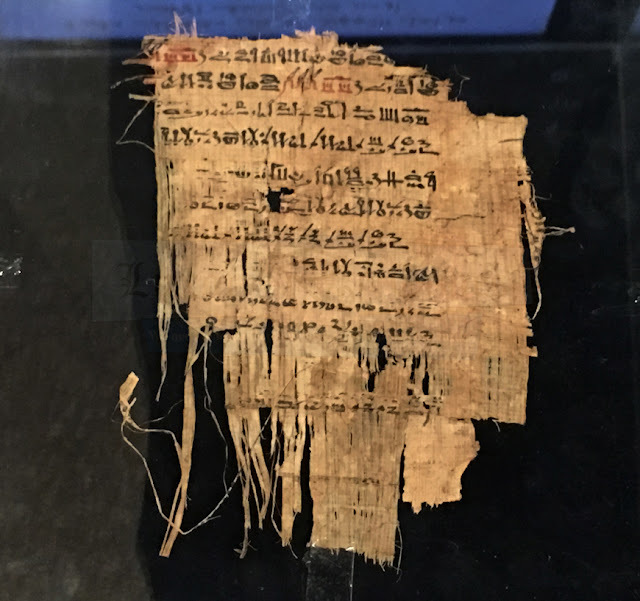 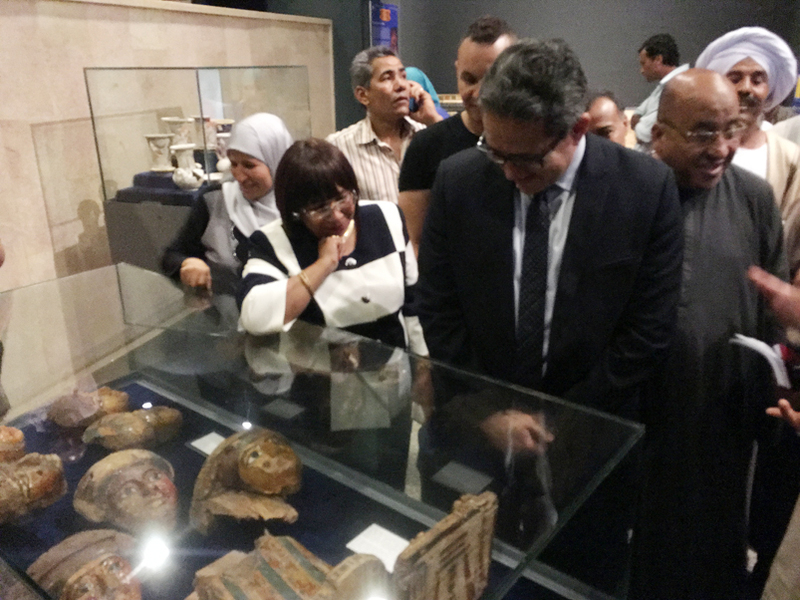 Instead of storing the recently discovered antiquities as it would usually happen, the ministry of antiquities decided to temporary exhibit a collection of the antiquities discovered in Userhat tomb at Luxor museum. 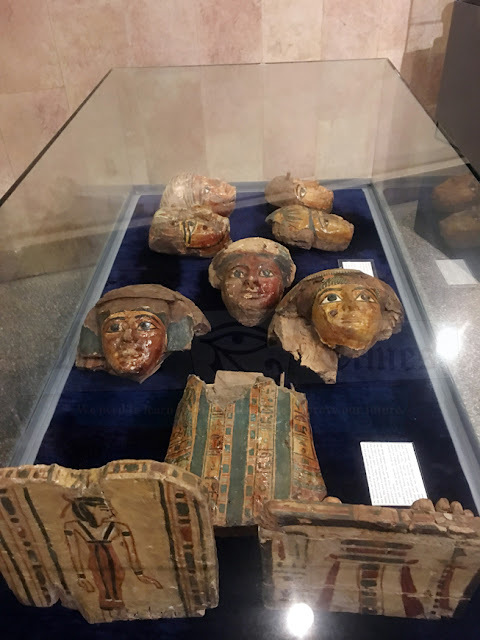 The exhibition features a large number of objects were discovered in the tomb of Userhat including ushabtis figures, pottery, wooden masks and papyri. 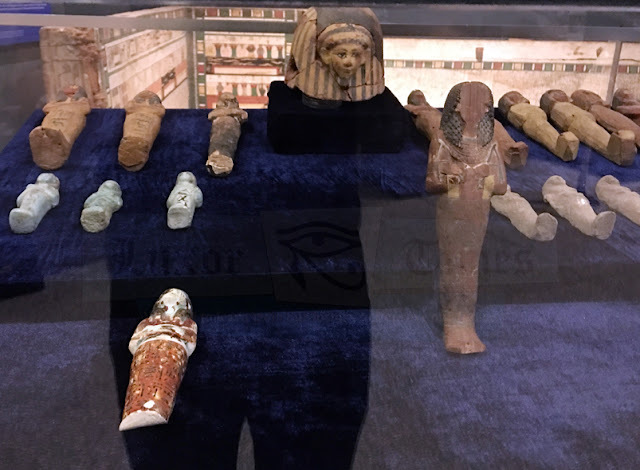 Ancient Egyptian noblemen were buried at Dra Abu El-Naga from as early as the Middle Kingdom (ca. 2030-1660 BC). The tomb was discovered last century and its location was known but it was buried under the rubble. 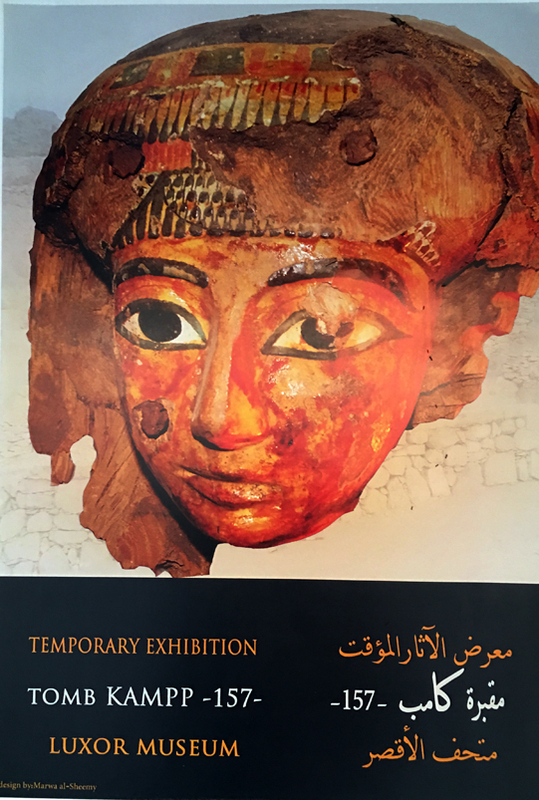 It was not excavated till 2017. 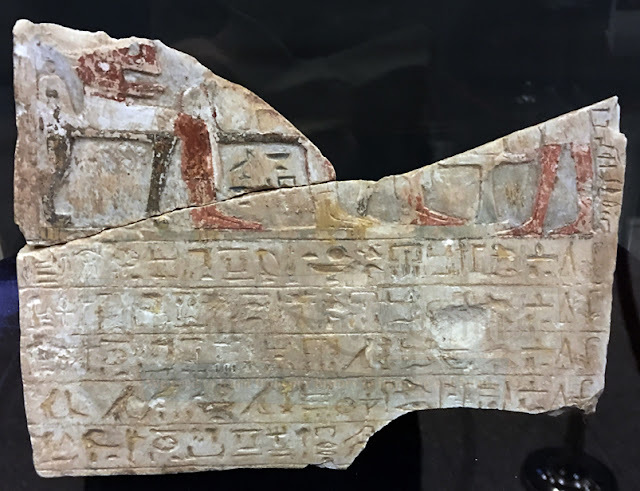 The tomb was numbered -157- in the 1990s by German Egyptologists Friederike Kampp-Seyfried. 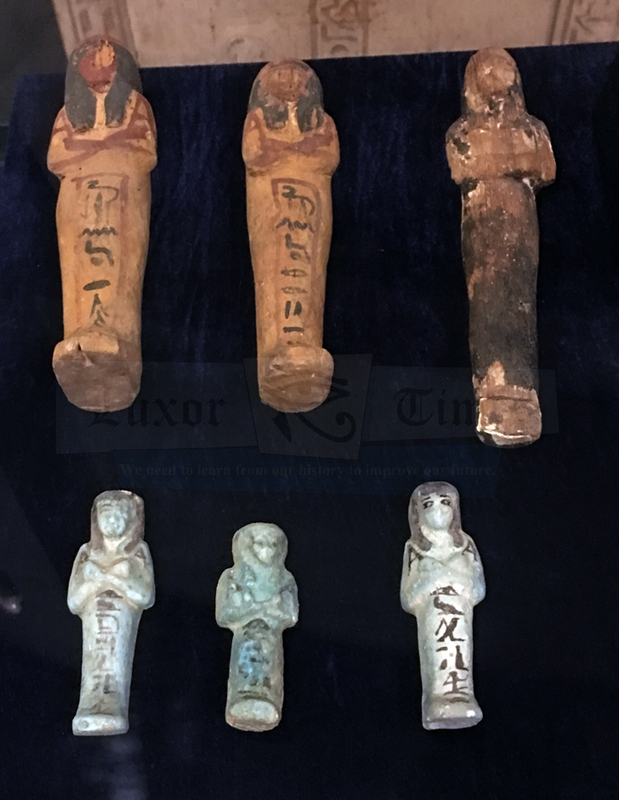 This numbering system picks up where Bertha Porter and Rosalind Moss left off in 1920s. 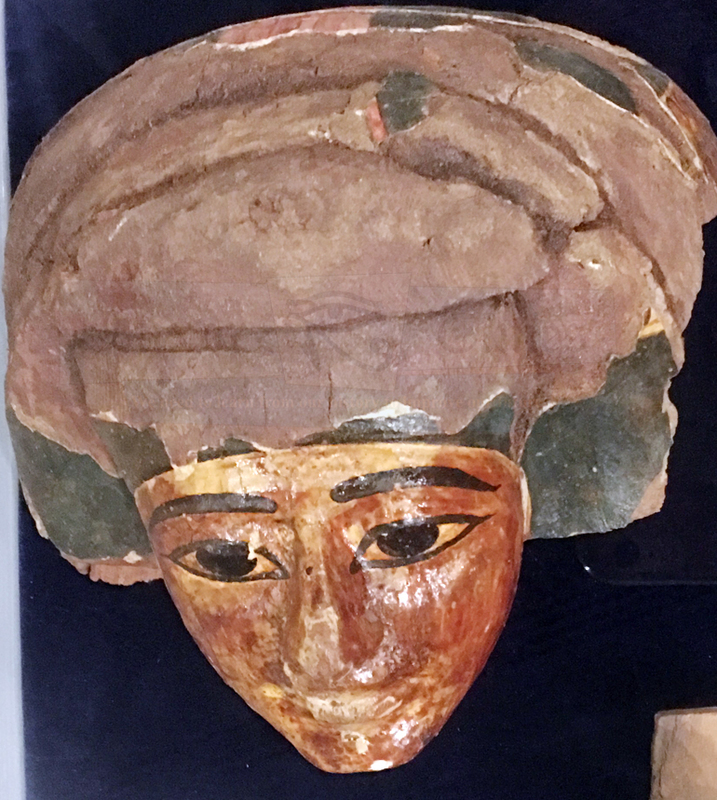 Userhat was a counsellor of the city of Thebes and he lived during the 18th Dynasty. The tomb was reused during the 21st and 22nd Dynasties. The discovered wooden coffins are made of wooden planks of doum or tamarisk trees. 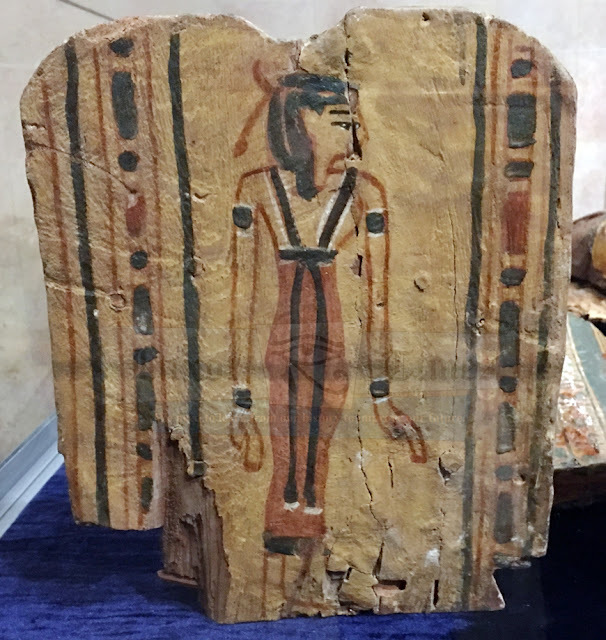 The planks were connected using small pieces of dowel pegs made of acacia wood. 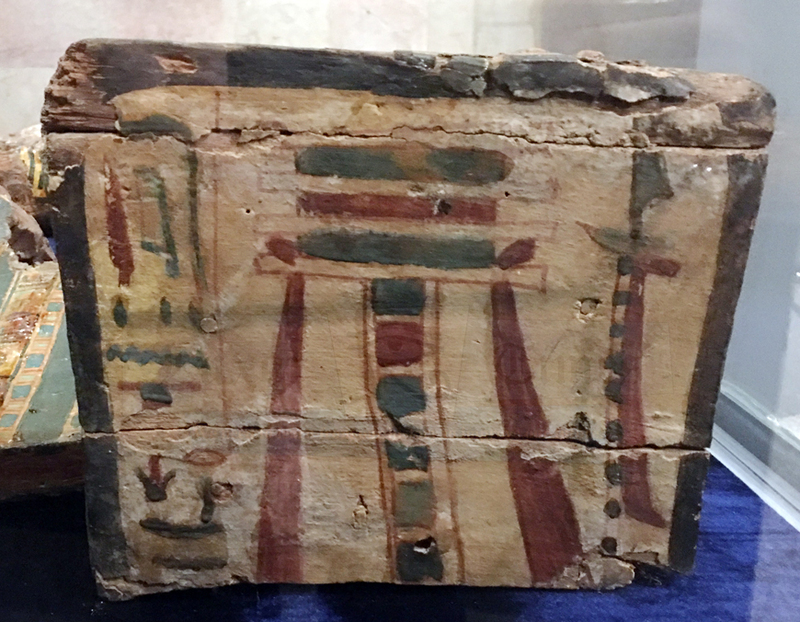 The spaces between the wooden planks in some coffins were filled with filler substance made of silt and organic materials to ensure their strength, while remaining lightweight. 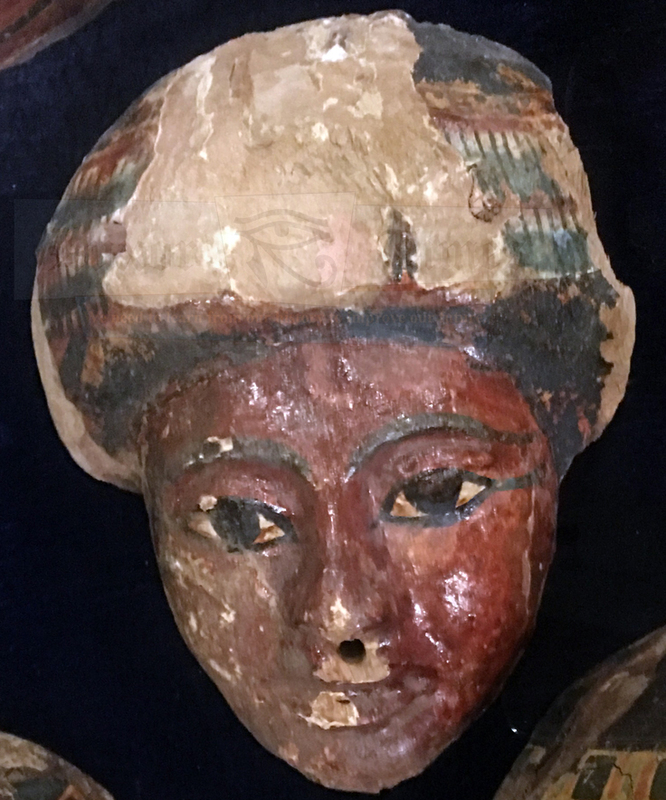 A white wash later of gypsum was added, followed by the colours and then finally a sort of varnish was placed as protection. 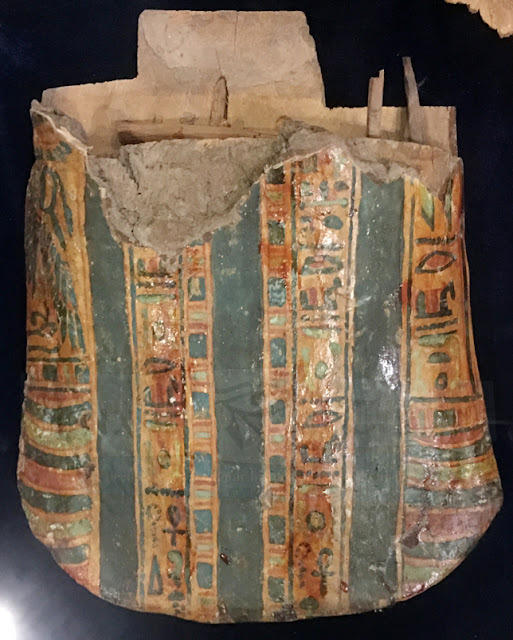 It is worth mentioning that the tomb walls are not inscribed, except for the walls’ upper parts, where a decorative frieze is pained. 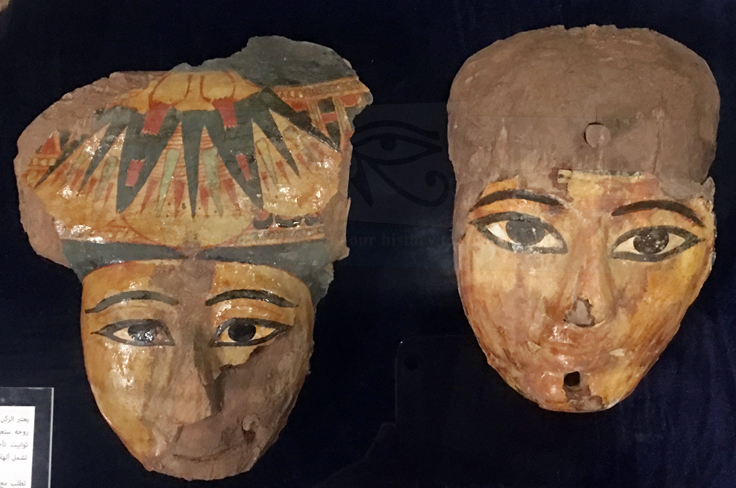 The ceiling is vividly painted with geometrical patters. The second hall also has faded remnants of a painted scene featuring different deities. Hundreds of pottery vessels were found in the tomb of Userhat. 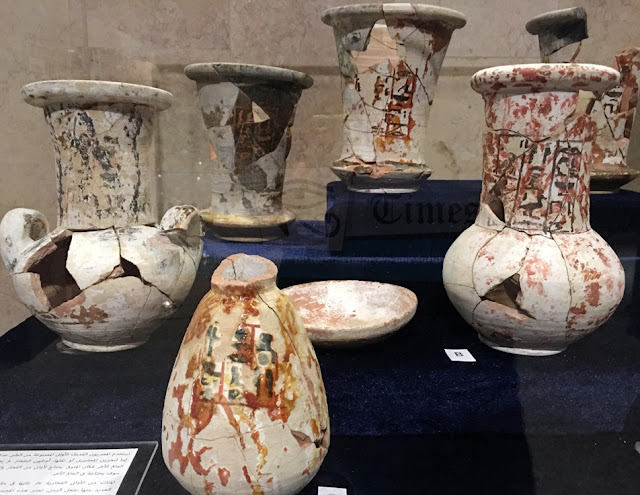 The collection from his tomb is especially interesting because of how they are painted; some of them are patterned in a way to emulate hard stones like alabaster. 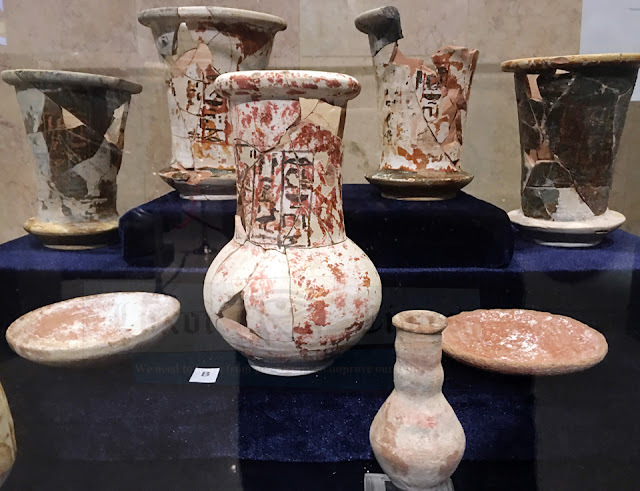 Most of these vessels were made of Nile clay. 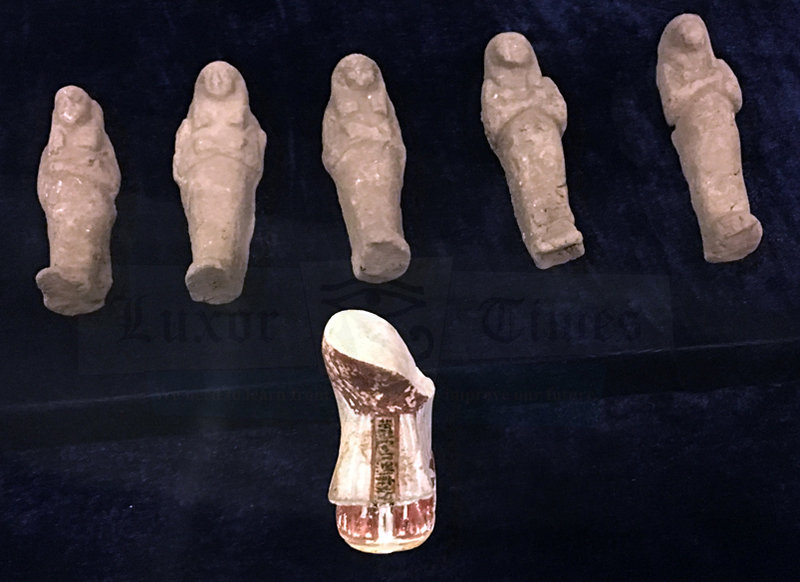 They clay would have been coiled and pinched into shape with the aid of a slow turning wheel. 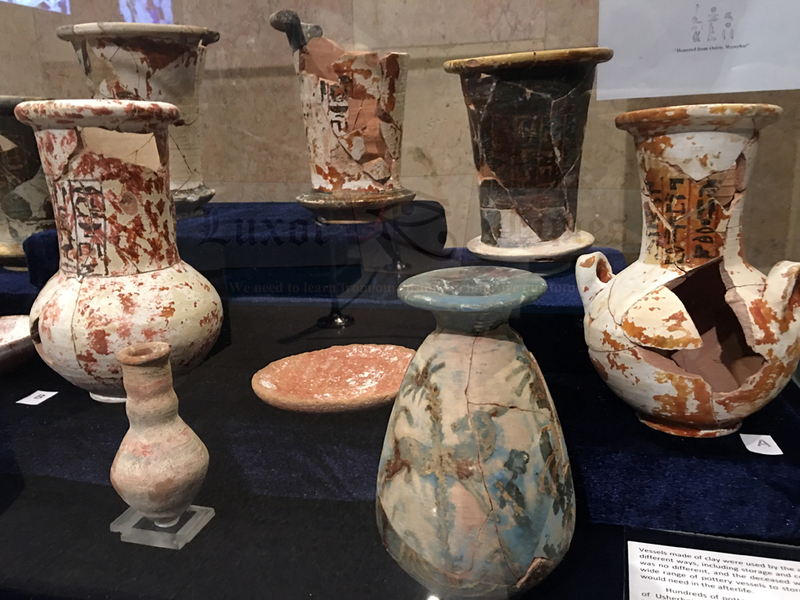 The colours and glazes were made of different materials such as copper oxides or ochre. (1) Linen fragments with funerary scenes, as well as mourners. 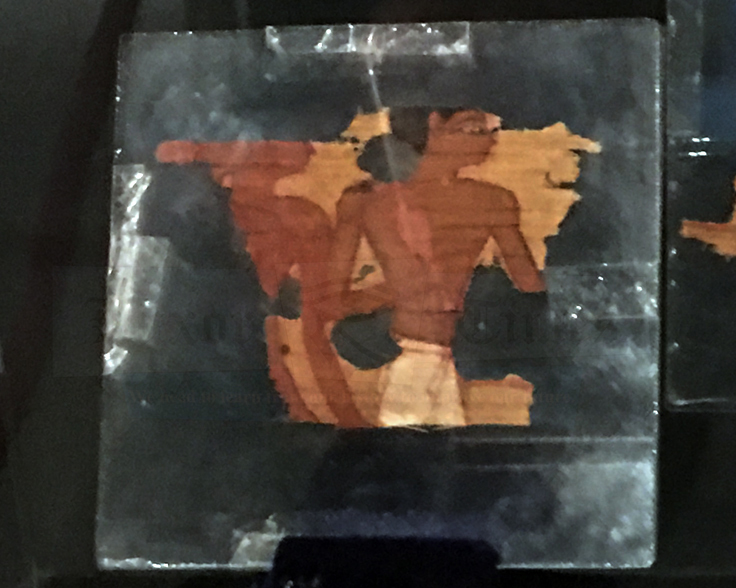 (2) Two linen fragments depict men. 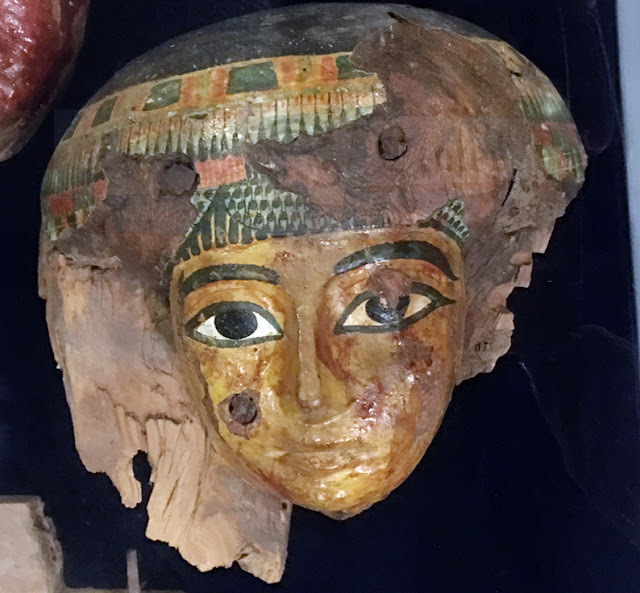 (3) Basket made of palm leaves. (4) Papyrus with hieratic – a cursive form of hieroglyphs with red and black ink. 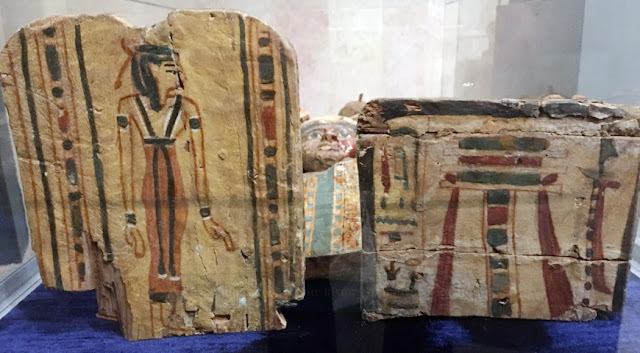 Funerary stelae typically show the deceased and his family, often being presented with offerings. They are usually carved with the titles of the deceased, and texts related to the offerings and the gifts bestowed upon the deceased by royalty. From the left, you can see the legs of the chair the deceased is sitting on, following by his wife. 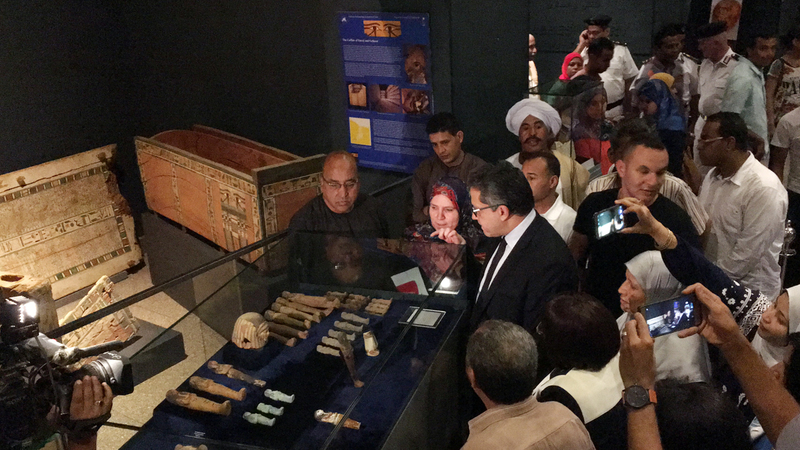 At the right side, you can see the stand of the offering table. 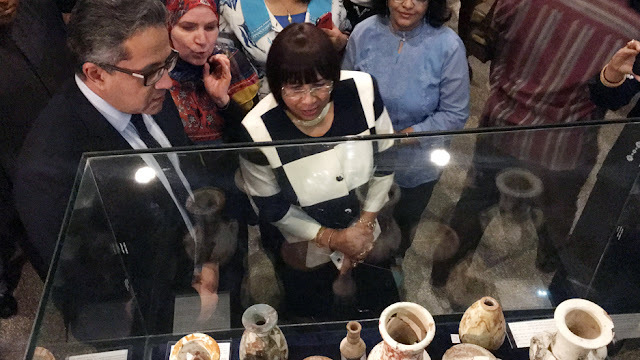 Please note that the descriptions of the artefacts exhibited are taken from the labels and catalog produced by the Ministry of Antiquities.